Fiat Turin sent a message to the rest of Group F by opening the Top 16 with a resounding 90-76 rout of FC Bayern Munich on Tuesday at PalaRuffini. 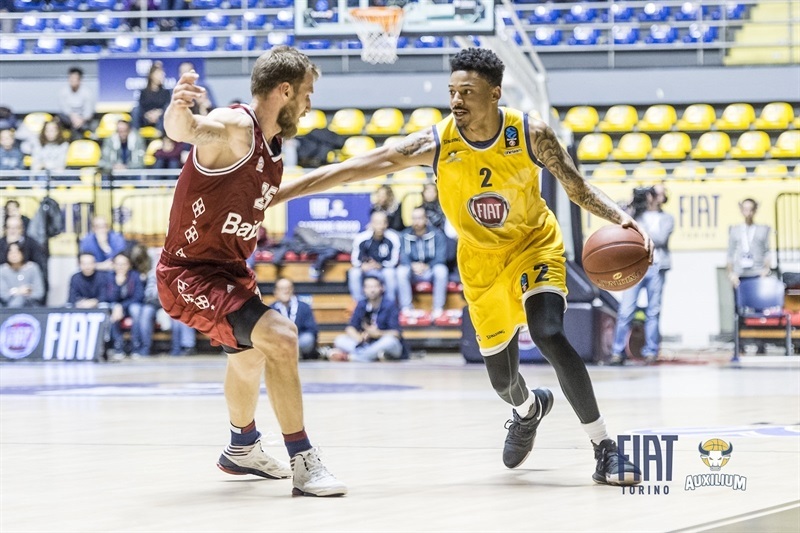 Diante Garrett starred with 21 points, 8 assists and a club record 6 steals to pace Fiat, which played without leading rebounder Trevor Mbakwe. Despite getting outrebounded 28-37, Fiat made 28- of 38 two-point shots and its 73.7% success rate was the highest by any team all season. The hosts also forced Bayern into 18 turnovers. 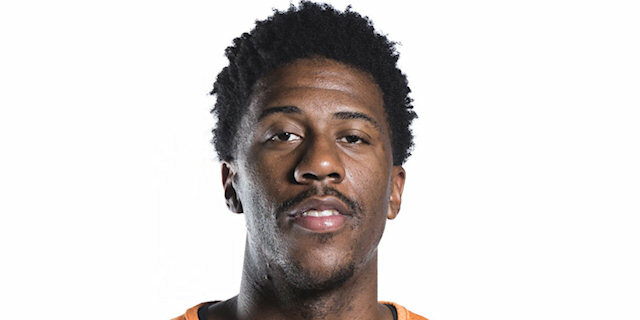 Lamar Patterson added 18 points on 4-of-6 three-point shooting for the winners, Sasha Vujacic scored 17, Antonio Iannuzzi 12 and Deron Washington 10. 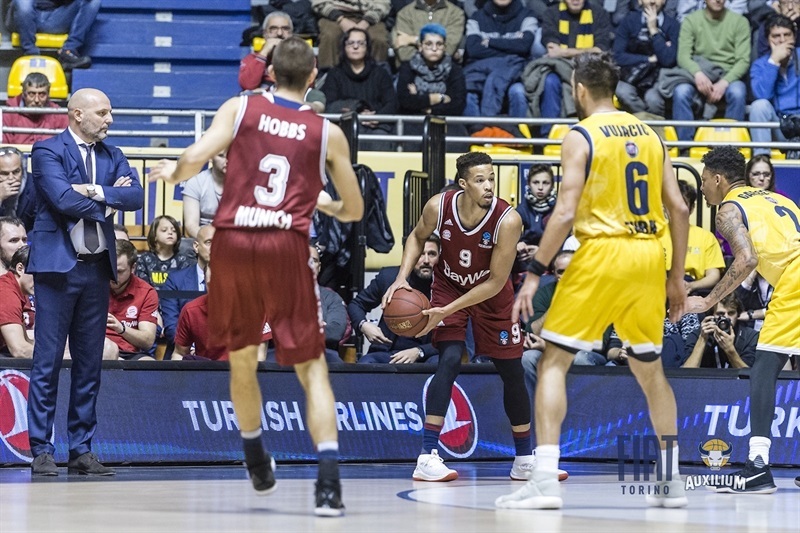 Devin Booker paced Bayern with 17 points and 11 rebounds, Milan Macvan scored 14 and Reggie Redding tallied 10 points, 8 rebounds and 6 assists in defeat. Garrett intercepted a pass and scored the first basket of the Top 16. Moments later, he connected on the new stage’s first three-pointer, but before long Booker scored twice to give the visitors a 5-8 lead. 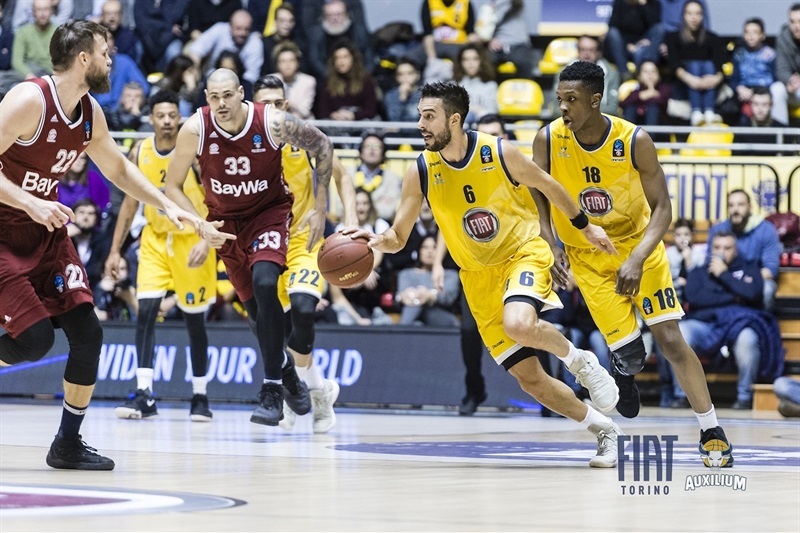 Fiat responded with 7 unanswered points and after Vujacic’s second triple and a mid-range jumper by Garrett the scoreboard showed 19-12, which prompted a Bayern timeout. A pair of Patterson threes extended the margin to double figures. Maik Zirbes free throws narrowed the gap to 25-17 after 10 minutes. Garrett collected his fourth steal and sent a long pass to Patterson for a layup and 12-point lead. The lead got to 13, but Redding and Macvan helped Bayern trim the gap to 7. 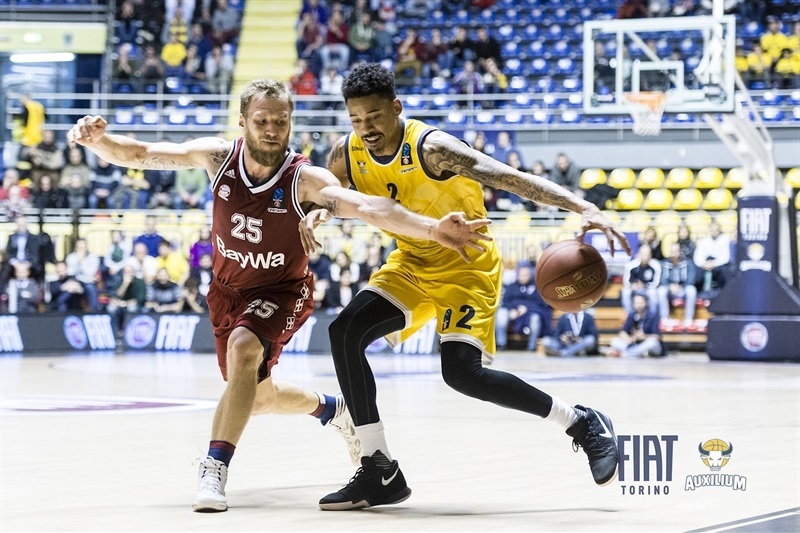 However, Fiat withstood the pressure and used a 7-0 run to finish the half with a 46-32 advantage. 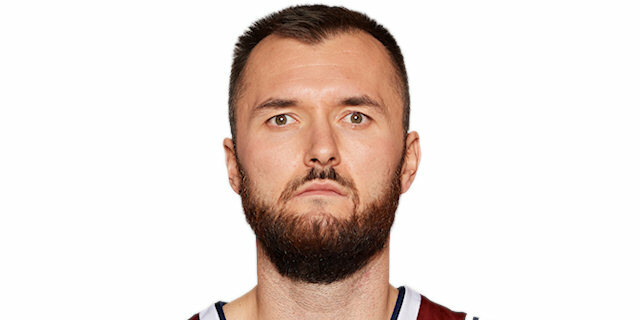 Vujacic drained free throws and set up Washington as Fiat kept the momentum from the first half to take the difference to 20: 55-35. 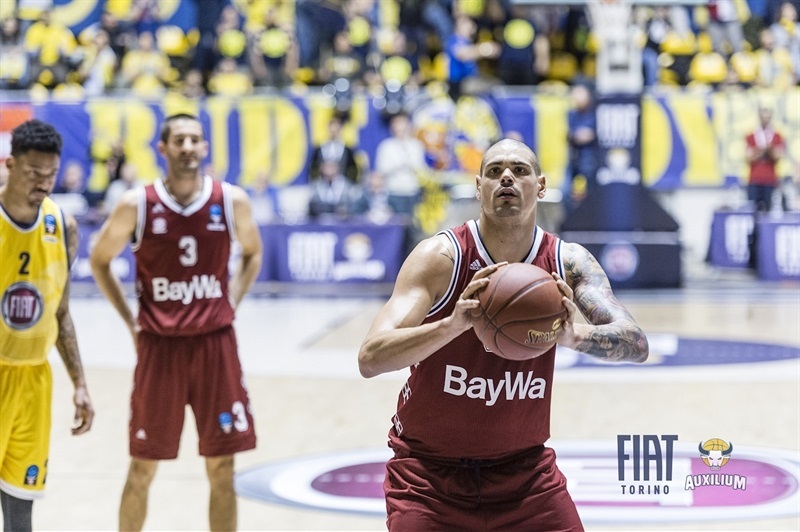 Bayern looked to come back with a 2-10 run capped by Macvan’s three-point play. Anton Gavel and Braydon Hobbs added three-pointers that made it 65-55. 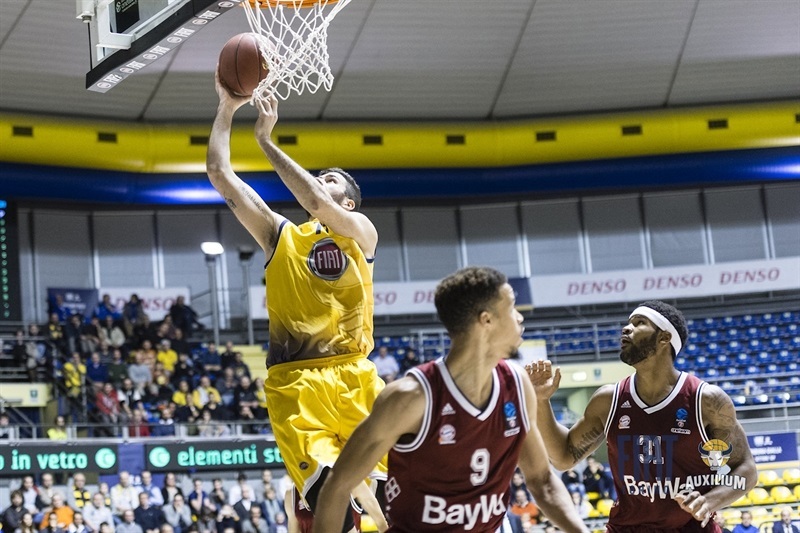 A Vujacic jumper ended the third quarter with the hosts up 69-57. 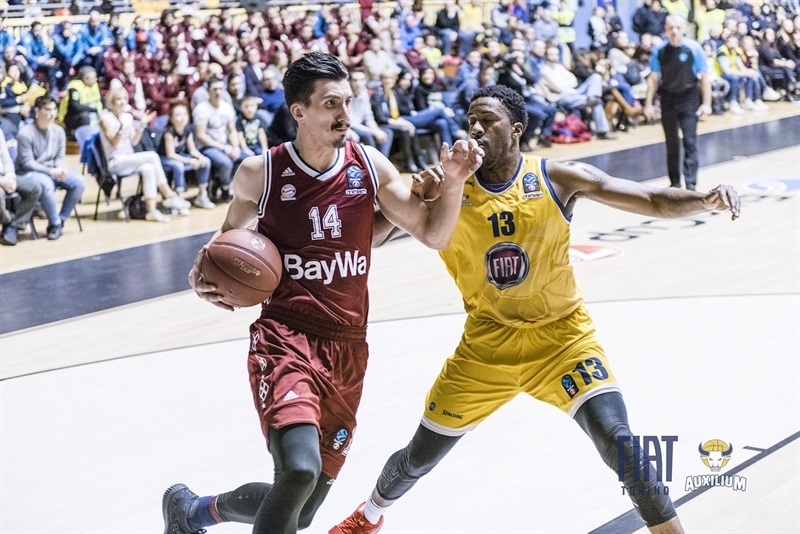 Danilo Barthel made his presence felt inside for Bayern, but Garett scored a deep three and took a steal in for a slam that made it 78-62 and led to a Bayern timeout. 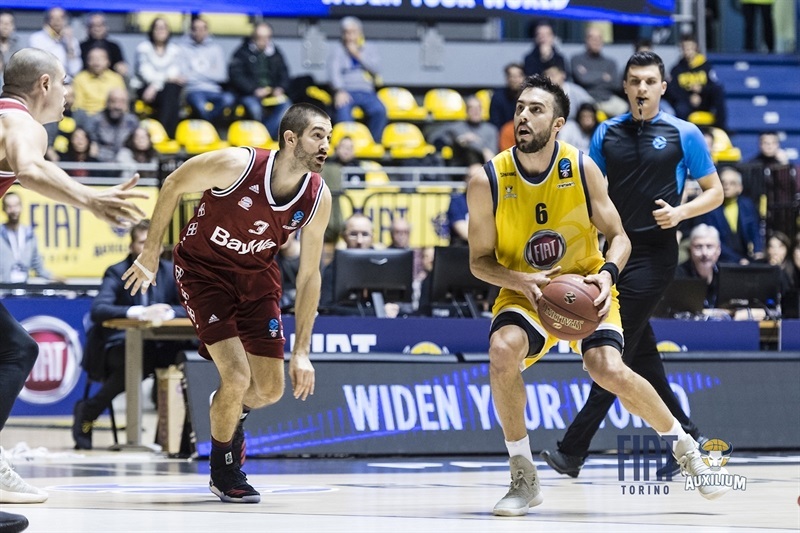 After a timeout, Bayern scored the next 7 points with threes by Hobbs and Nihad Dedovic, but the visitors never got closer than 9. A three by Patterson and a put-back by Washington all but put the game out of reach. 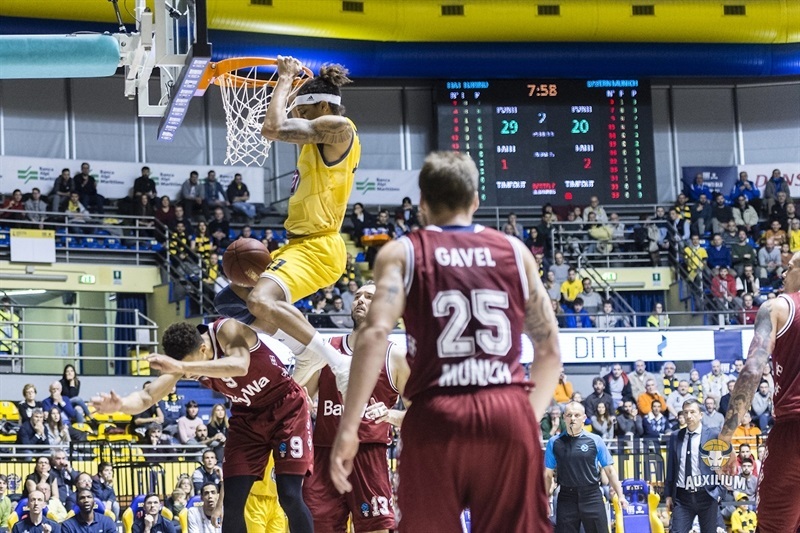 Patterson’s fourth three-pointer with 30 seconds left made it 90-75 and triggered the celebrations in Turin. "It was a great win with 40 minutes of great intensity and energy as you need when you play against a time like Munich. I have to congratulate my players because they spent a great effort on the court, fighting every possession, trying to resist against their pressure as we expected in the second half. In the third and fourth periods, they approached the game in a different way, but we showed the same face. That was very important. I hope that’s also a statement for our future." 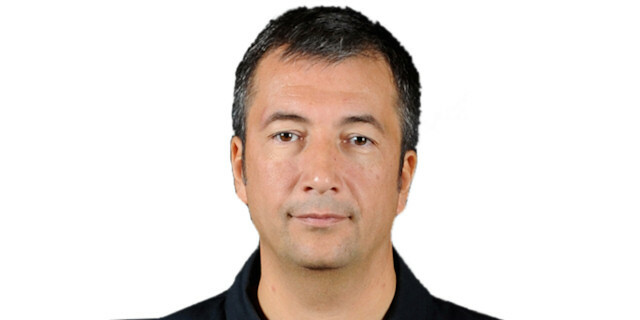 "Congratulations to Turin, they started the game very differently than we did. I have no explanation for our first half; we lacked the mindset to meet the physical requirements of such a game. 14 turnovers by then and 19 at the end, that's unacceptable. We knew what to expect, their transition game and fast breaks, for example. In the second half we reacted because we are proud and actually know how to. Some took this game too easy and do not know Italian basketball. We cannot afford that. " "We feel great. We know Bayern, they’re one of the top teams in Europe. So we wanted to come out strong and throw the first punch. And today we did that, everyone, one through 12, 13, everyone on the bench was fighting. It was a good team win tonight." "That was our worst game this season, unfortunately at a very unfavorable time for us because it is the start of the second round. We must now move together, find new energy. That's important now. Today we could not find any rhythm at all. Turin had a lot more energy, especially in defense, and they did a lot better without the ball. Those were the main reasons for the defeat. "